About seven feet above floor level in a run-down brick building in Barre, a thick band of soot extends across two interior walls. This, Carolyn Shapiro explains, is the "burn line" — the most palpable evidence of the building's history, and an augury of its future. 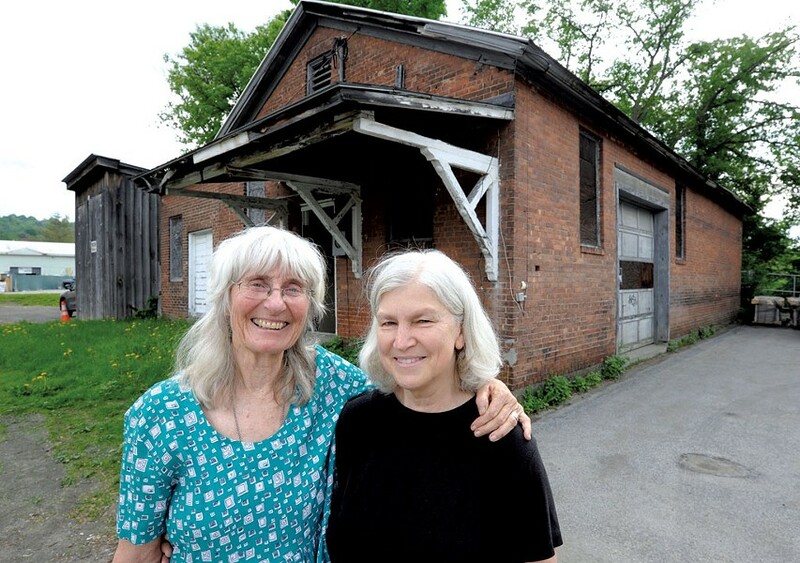 Shapiro, a buoyant, energetic woman of 72, recently led a successful $25,000 Kickstarter campaign to begin the restoration of this unassuming building, which sits just behind Barre's historic Old Labor Hall. More than a century ago, the one-story structure housed a bakery that literally provided the daily bread — about 150 loaves of it — to local laborers and, eventually, to residents of Barre and neighboring towns. The burn line indicates where a huge hearth once stood, and where a new, wood-fired oven will soon turn out loaves for Rise Up Bakery. Shapiro hopes it's not just the loaves that will be rising, but the 2,000-square-foot bakery itself. In her vision, the restored structure will generate not only bread but jobs, educational opportunities and community bonding. The notion of "rising up" is important to the history of both the building and the city. The bakery was constructed by granite workers mostly of Italian heritage, many of whom moved to Barre in the first decades of the 20th century. From the 1910s to the 1940s, the bakery produced bread sold at the cooperative food store located in the Old Labor Hall, an organization formally affiliated with the radical socialist politics characteristic of immigrant laborers of the era. Formerly a high school teacher of American history in California, Shapiro has spearheaded community education programs at Montpelier's U-32 middle and high school. An interest in social and labor history drew her to the Old Labor Hall, which fascinates her, she says, because "it pulls together a lot of different people for a lot of difference experiences and events" — such as political stump speeches, a Pete Seeger performance and a queer dance party. When Shapiro researched the former bakery in 2011, she realized that a restoration project "combined my interest in culture, my interest in social history and my interest in working with teens again." Shapiro is something of a labor organizer herself. Long affiliated with the Barre Historical Society (which owns both the labor hall and the former bakery), she has recruited community leaders and local business owners for her project. Some are just across the street, or adjacent to the Old Labor Hall, such as YouthBuild, a program of the community nonprofit ReSOURCE that trains young people in construction skills while helping them earn high school diplomas and postsecondary education credits. Shapiro approached YouthBuild manager Jesse Greig about restoring the bakery's roof, and he signed on. "Replacing the roof is a great opportunity for our students to get some experience [in seeing] how a roof system works," Greig says. Shapiro knows that repairs won't end there. The Kickstarter cash, earmarked for structural improvements, represents only about a 10th of the sum she estimates will be required before the first loaves are pulled from the oven. Particularly in need of attention is a portion of the rear wall marked with a jagged, inch-thick crack created by the roots of a huge tree. Shapiro intends to write grants, solicit volunteer contributions and lead more fundraising campaigns to cover essentials such as building the oven. If all the pieces fall into place, Rise Up will be realized in about two years, she hopes. "There's enough excitement about [the project] that people are stepping forward," Shapiro says. The 1913 building was placed on the National Register of Historic Places in 2003, though its current use hardly befits that status. 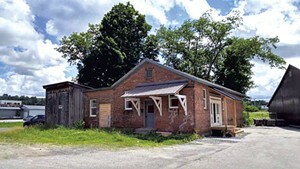 For years, the Barre Historical Society has had what Shapiro calls a "gentleman's agreement" with the adjacent Pepin Granite Company, whose employees use the former bakery as a garage for vehicles and machinery. The building needs plenty of work before it will be up to code; it currently lacks electricity, running water, a sewage connection and handicap accessibility. The men who first baked bread there used the heat from the oven to warm the interior, but now heating and insulation are on the list of necessaries. Shapiro and her husband grow much of their own produce and raise chickens, and she has dedicated time to educating Vermonters about the recently passed GMO labeling law. Rise Up's bread will hark back to the hearty, simple breads favored by laborers. (See sidebar.) "We know that it was really a very basic Italian bread that was done with yeast, water and flour," Shapiro says. "[The bakers] would also do a hard biscuit called osso di morti — dead man's bones. Really crunchy." For assistance, Shapiro turned to Glen Loati, who with his wife, Lori, owns La Panciata bakery in Northfield. The shop — whose name, Loati explains, evokes an Italian idiom roughly meaning "fat and happy" — has been producing traditional Italian breads for more than 20 years. La Panciata has donated bread and biscotti to the Old Labor Hall's annual Primo Maggio (May Day) celebration for years; Loati's grandmother once worked at the labor hall's cooperative store. Loati, who will act as unofficial hearth consultant, envisions himself helping future bakers grasp the quirks of brick-oven baking. "Baking in an oven like that is a whole different ball game from just turning on the gas and setting the thermostat," he says. Another key participant in Rise Up's resurrection is Jamie Eisenberg, the senior chef instructor at Capstone Community Action, a nonprofit located across the street from La Panciata. 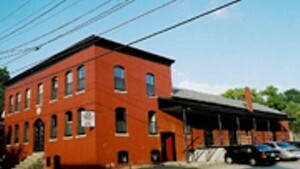 Eisenberg also owns Poorhouse Pies, a specialty bakery in Underhill. At Capstone, she teaches culinary skills to low-income and underemployed Vermonters who are seeking new careers. The academy donates the food its students prepare to local food banks, where, according to Eisenberg, it "flies off the shelves." Both Shapiro and Eisenberg describe Capstone's participation in the Rise Up project as a win-win: The restored building will be a classroom where culinary students can acquire in-demand bread-baking skills, and the bread will be distributed to in-need community members. "This is really a perfect fit for us," Eisenberg says. "We'll be helping people with job skills but also providing a product." Karen Lane, vice president of the Barre Historical Society, has worked closely with Shapiro for years. "I would call her extremely dedicated, and I think she's actually a visionary," Lane says. "She can see beyond the present, modest building of bricks and mortar to the future of the building. She's the kind of person who makes things happen." Shapiro says she seeks to turn the historic bakery into a "living museum." "We need to keep the flavor of what it was when it opened in 1913," she adds — words that apply equally to the building and to the bread it will produce. According to Carolyn Shapiro, the following recipe, adapted from Judith and Evan Jones' The Book of Bread, resembles those used by Italian American bakers in Barre a century ago. Put yeast in large bowl with 1 cup warm water. Once it's dissolved, stir in the remaining water, salt, whole wheat flour and about 5 1/2 cups of the white flour — enough to make a dough that holds together. Turn out dough onto a floured work surface and let rest. Scrape out and include any remaining bits of dough, then clean and dry the bowl. If dough is soft and sticky, add a bit more flour and then slap it down hard against the counter. Repeat several times, then start kneading, adding more flour as necessary. Knead about 10 minutes, until dough is smooth. Return dough to the clean, ungreased bowl, then cover bowl with plastic wrap and let stand until dough triples in volume. After the first rising, turn the dough out and punch it down. Return it to the bowl, cover and let rise until it doubles in volume. Punch the dough down again and turn it out onto a lightly floured work surface. Divide dough into five equal parts and form them into loaves. Put loaves into greased pans that are slightly bigger than the loaves. Cover pans with towels and let rise. Preheat oven to 450 degrees Fahrenheit. Just before baking, slash each loaf diagonally several times and place a pan of water in the bottom of the oven. After 15 minutes of baking, remove pan of water. Bake an additional five to 10 minutes in dry oven, until loaves are crusty and golden. The loaves should make a nice, hollow thump when struck. If they don't, they may need to bake a bit longer. The original print version of this article was headlined "Labor of Loaves"